Mycroremediation, the use of mushrooms as soil remediation tools, continues to make a scientific splash, promoting mushrooms as the up and coming soil remediation stars. The need for new soil stars becomes readily apparent when one looks around an industrialized world that produces toxic materials, subsequently either intentionally or unintentionally finding their way into the soil. Small amounts of mercury emissions from coal powered electricity plants, for example, spread into the atmosphere and eventually fall onto the ground with the rain. Tailing ponds, the usual repository for the unwanted, and often toxic materials, associated with most mining operations, can and do leak or break down, depositing their toxic materials on the soil along the way. Soil remediation, a subset of the larger environmental remediation industry, refers to the activities associated with cleaning up soil toxins, and the technologies used to clean up soil range from a very simple flushing the soil with a water solution to more complicated processes such as the use of biological agents to break down the contaminants, rendering them harmless. Mushrooms as soil remediation tools works on two different logical process. First, they can produce enzymes that aid the break down of soil contaminates in much the same manner that they decompose the wood of their tree and tree stump hosts. Additional research proves many mushrooms ability to absorb toxins in the soil in the same way they absorb soil nutrients during their growth process. Over the course of two decades, mycologists have experimented with different mushrooms to determine their ability to deal with different soil contaminants. The ability of spent mushroom waste (SMW) from Pleurotus ostreatus to degrade 1,1,1-trichloro-2,2-bis (4-chlorophenyl) ethane (DDT) was investigated. DDT was degraded by 48% during a 28 d incubation and 5.1% of the DDT was mineralized during a 56 d incubation by SMW from P. ostreatus. The degradation potential in artificial DDT-contaminated soil was also investigated. The SMW from P. ostreatus degraded the DDT by 40% and 80% during a 28 d incubation in sterilized (SL) and un-sterilized (USL) soils, respectively. [U-14C]DDT was mineralized by 5.1% and 8.0% during a 56 d incubation in SL and USL soils, respectively. These results indicate that SMW from P. ostreatus is a medium which can be potentially used for bioremediation in DDT-contaminated environments. 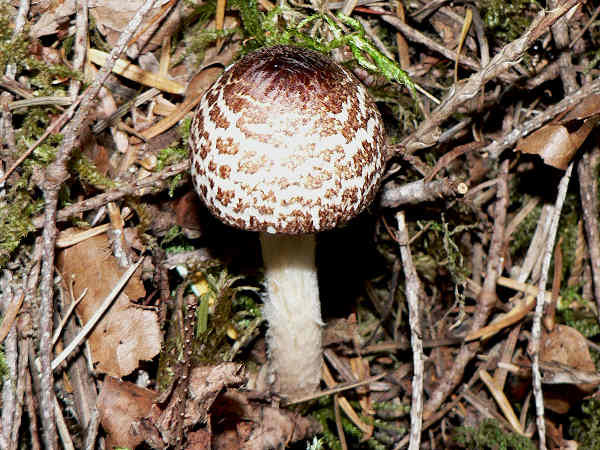 Two fungi (unidentified) were isolated from soil and marine environments. These isolates were used for bioremediation of pulp and paper mill effluent at the laboratory scale. The treatment resulted in the reduction of color, lignin and COD of the effluent in the order of 78.6%, 79.0% and 84.4% in 21 days. A major reduction in these parameters occurred withing five days of treatment, which was also characterized by a a steep decline in the pH of the effluent. Practical sustainability explains much of the industry’s growth. Put simply, mycoremediation promotes cost effective soil and water recycling. Technical improvements within the mushroom cultivation industry also contribute to the growth of mycroremediation technology. The introduction of state of the art, climate controlled growing facilities, for example, allows scientists to cultivate more mushroom species more quickly and thereby expand their understanding of the mushroom enzyme producing properties of a larger mushroom sample. The ability to match mushroom soil remediation utility with soil remediation challenges, promotes the necessary progress for keeping pace with the wide range of today’s and tomorrow’s toxic and hazardous waste jobs. While many mycoremediation test plots tend to fit on the smaller side of the scale, industry scalability suggests that the mycoremediation industry is capable of handling both small and large scale clean up operations. Consumers also benefit from the research. A simple internet search shows the many dollar mushroom kits already on the market geared to back yard soil remediation projects. Wild mushroom foraging continues to be a popular past time for fun and food, however the continued accumulation of scientific research suggests it could turn into a hazardous past time. Consider one finding examining the toxic content of various edible mushrooms, especially with respect to Mercury. Here we present the first evidence of peptides of the phytochelatin family being responsible for binding a large fraction of Cd in caps of the macromycete Boletus edulis exposed to excess metals. Concentrations of Cd, Zn, Cu and Hg, as well as cytosolic Cd-binding capacity (CCBC), glutathione (GSH) and free proline (Pro) were quantified in fruiting bodies of B. edulis differentially exposed to a wide range of metals. The article suggests caution when picking wild mushrooms growing near metal smelters and within the wind range of fossil fuel power plants, especially coal fired power plants, contain harmful levels of mercury.